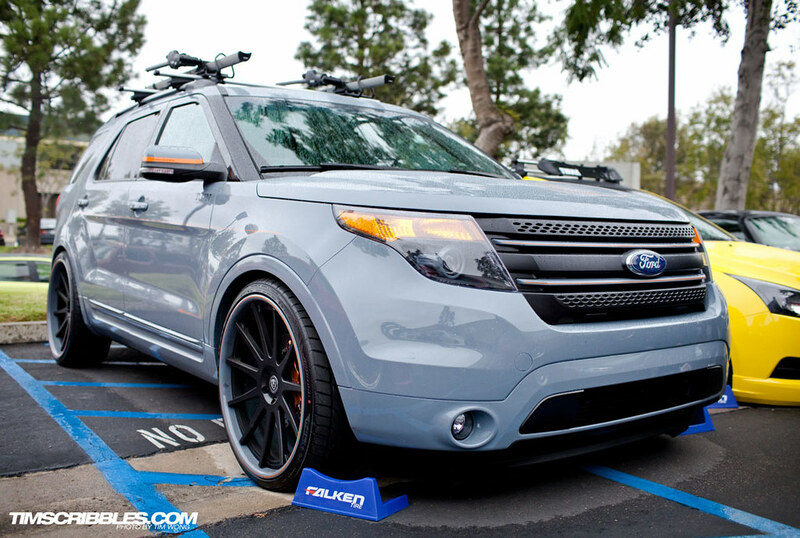 Every year after SEMA, Auto Fashion holds a massive gathering of VIP or “Bippu” style cars at their shop in San Diego. Hundreds of people attend this great event to see some of the highest quality VIP cars in Southern California and even some from farther away. Usually its a sunny Sunday for the past couple years, but this year was a case of severe rain. I arrived around 11:30AM or so because it was supposed to start at 12PM and it was a dense drizzle. Hoping to get some coverage before the weather got any worse, I quickly made my rounds through the hundred of cars in the rain. You’ll see the rain get heavier as you look through the pictures. Honda Civic EK with an Isuzu Gemini front end conversion which is also known as the Domani conversion. I’ve never really been a fan of this conversion mostly because Civics tend to have very curvilinear lines to the body while the Domani have more straight edges. This is not to say this red one didn’t pull it off quite nicely. A rare color to see in the VIP scene, but this blue Q45 really stands out amongst the crowd. In a nice way. VIP themed Lexus RX330 or Harrier. I have continued to see this car around shows lately and I still haven’t got sick of it. It’s really nicely done. 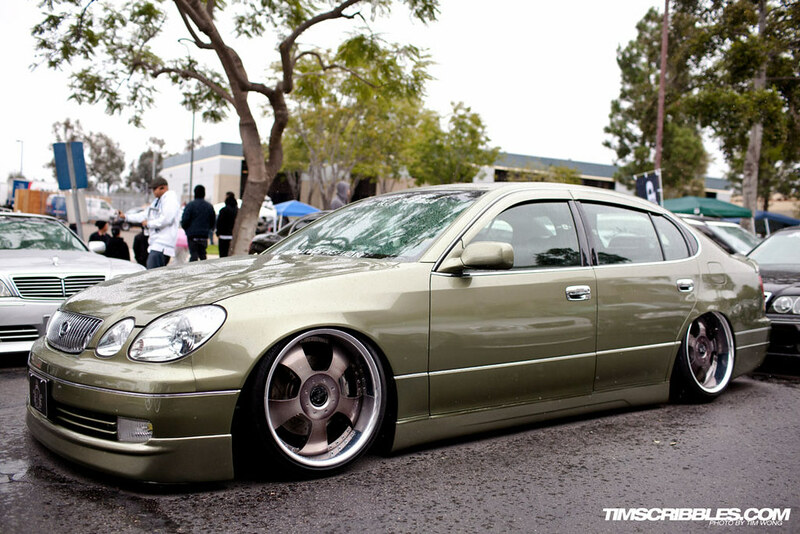 Lexus LS rocking the brown and it works really well. 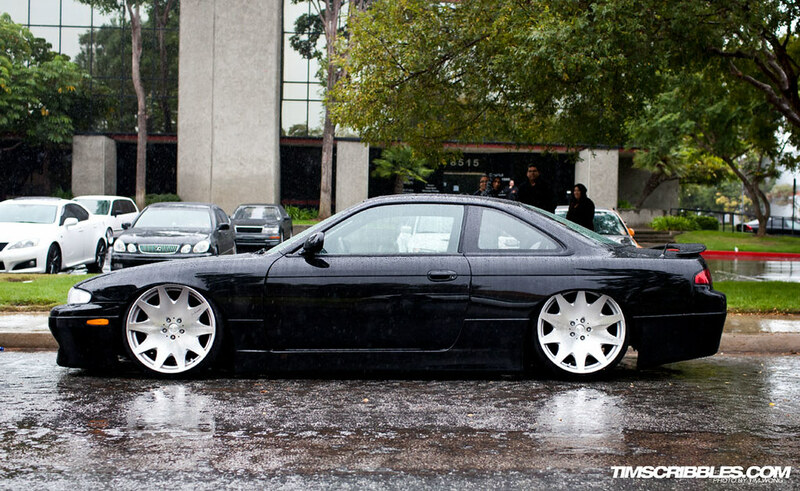 The aggressive fitment and the aggressive flared out parts sets the car off from the rest. Usually Acura TLs have been very few at VIP Festival, but this year almost none were present. This might have been the only one there. 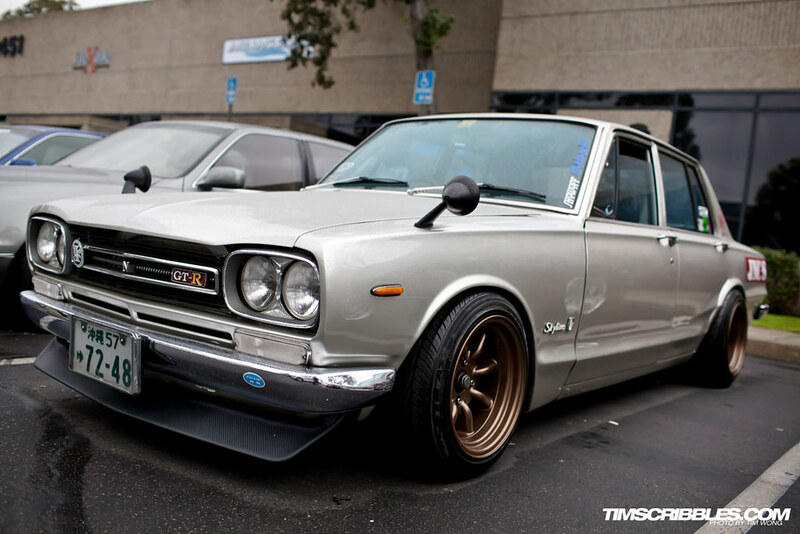 Not really VIP, but it’s a Hakosuka Skyline GT-R. 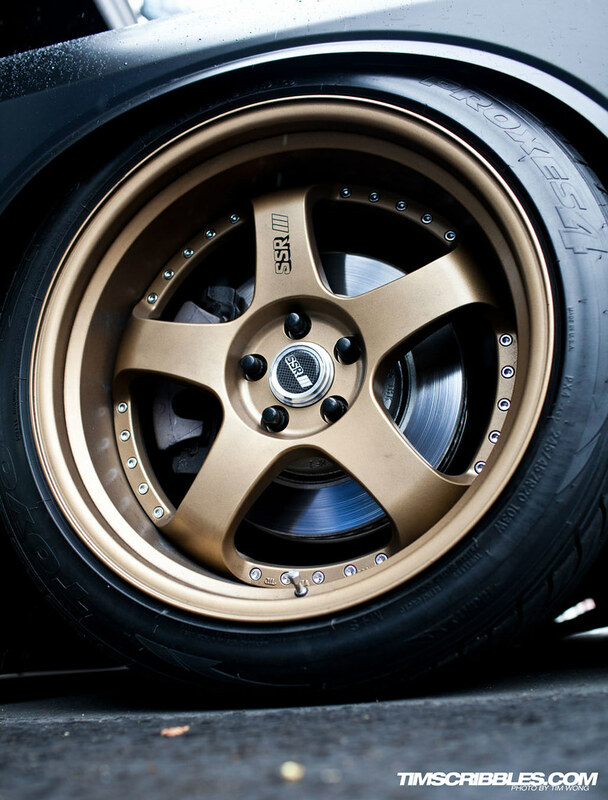 This Infiniti Q45 works well with the gold wheels. 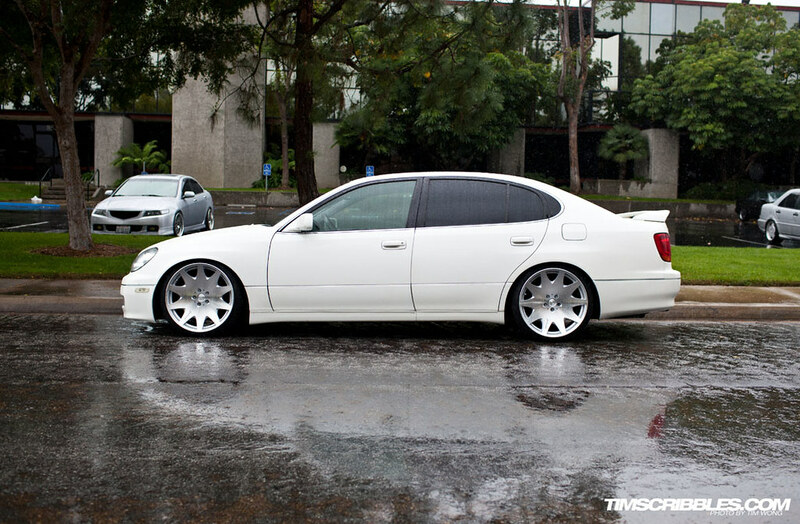 I could not get enough of this Lexus GS. The green and the slightly purple wheels was such a nice combination that I never see done. This works. The pink and the gold, it works. Flashy sure, but not nearly to the point of gaudy. I would have never thought to do something like it, but it shockingly looks good. 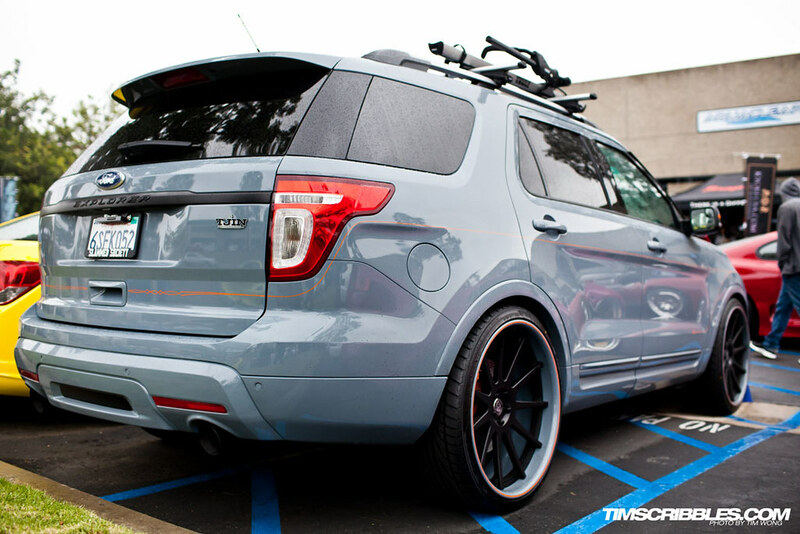 Tjin Ford Edge along with a couple other cars made an appearance after SEMA. 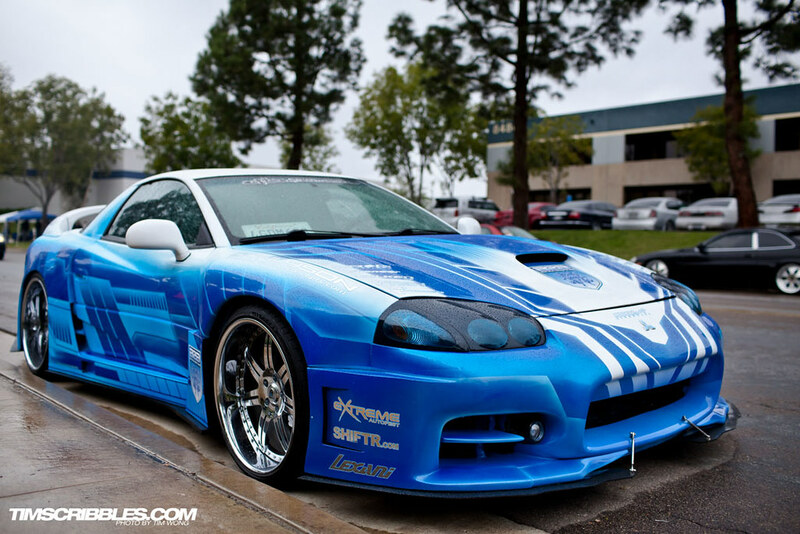 I usually like Tjin cars even though some can be seen as over the top. 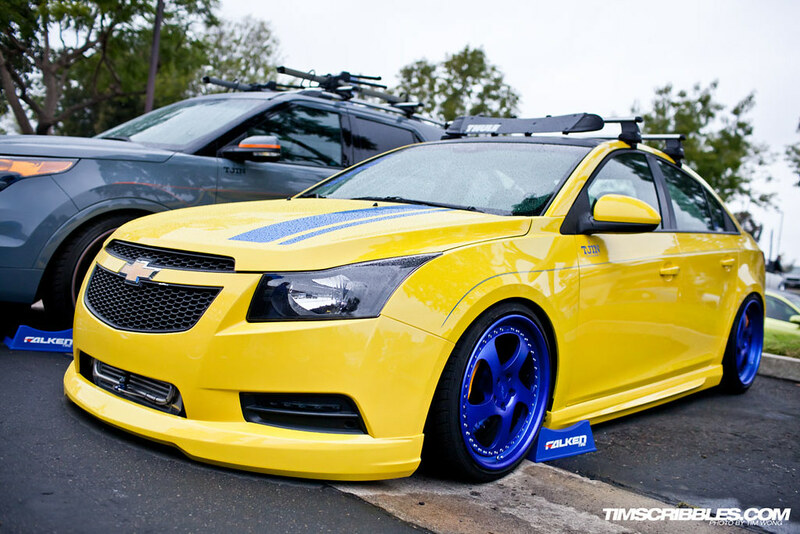 Tjin Chevy Cruze. The car looks pretty good overall. Theoretically, yellow and blue work well together, but I almost get the feeling the yellow is somewhat overbearing. 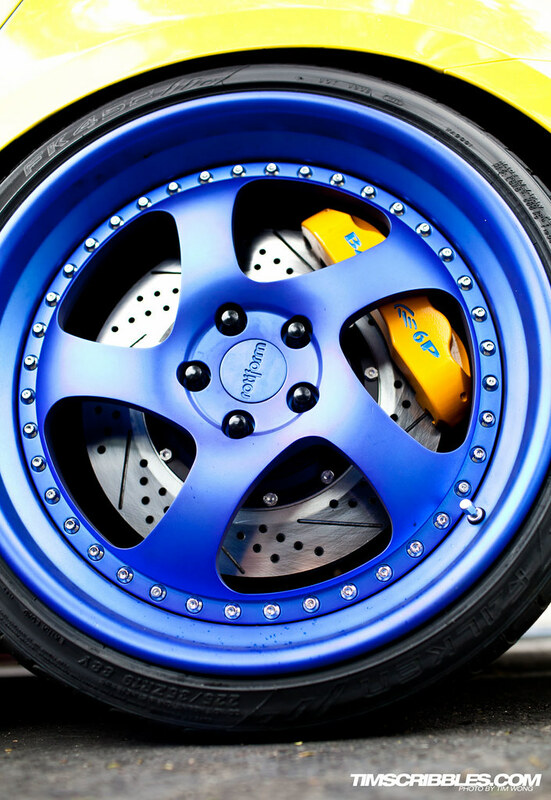 I love the blue Rotiforms though. Looks great. 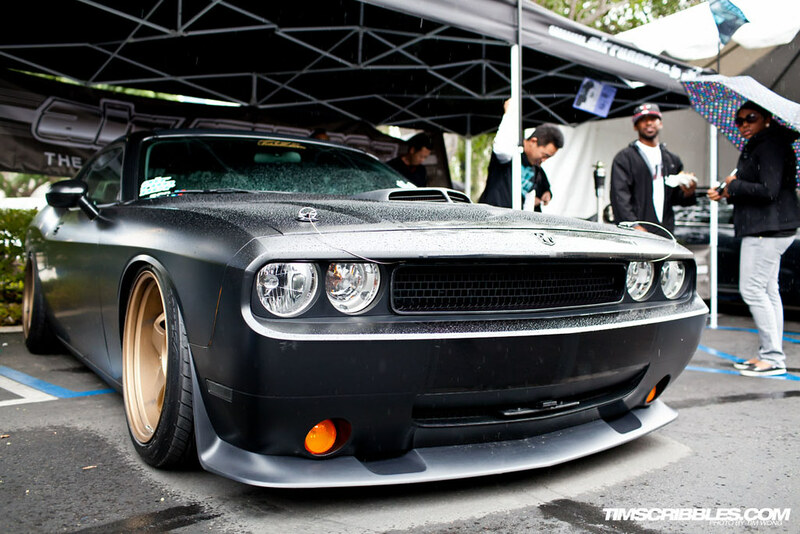 Jon Sibal’s Dodge Challenger with an RWB theme by using the matte black body and the matte gold SSR SP1s. I’ve been a big fan of this car since I first saw it, mostly because I love the new Challengers and that it did something very unique. There’s no other Challenger that looked like this and I doubt many ever will even go in that direction. 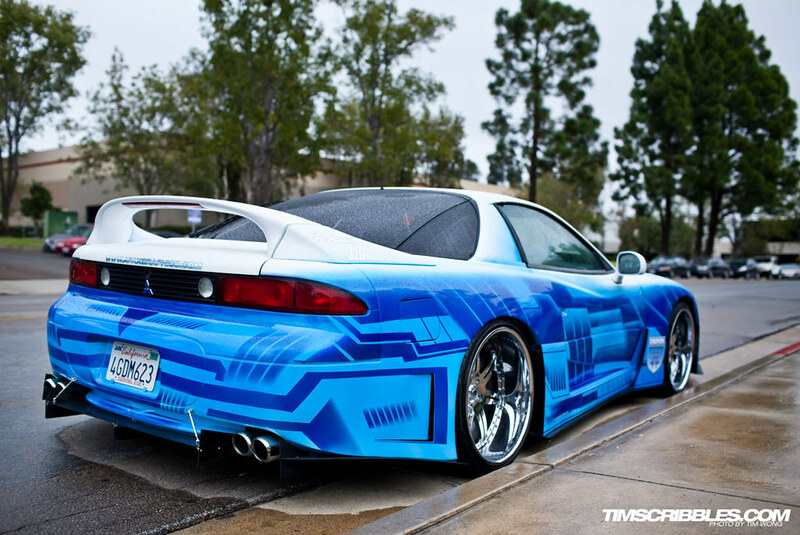 Apollo’s extensively modified Mitsubishi 3000GT. Very few people build cars like this these days. 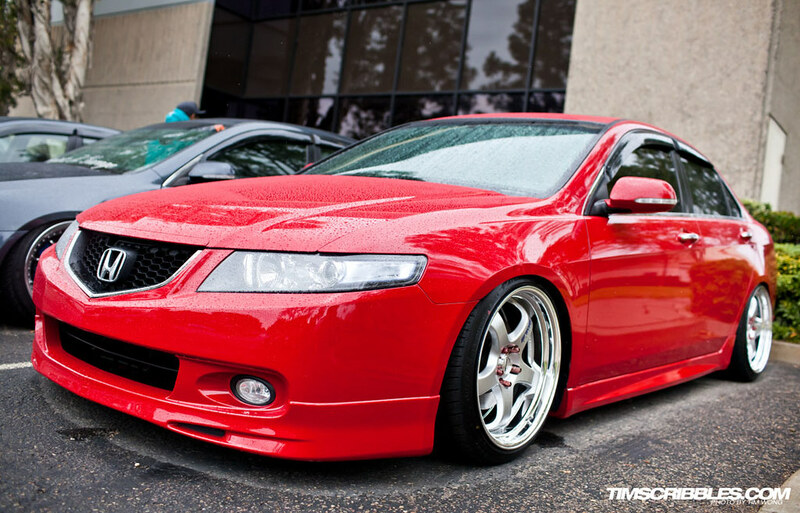 A nice line up of Acura TSXs. This Honda Accord was rather nice. 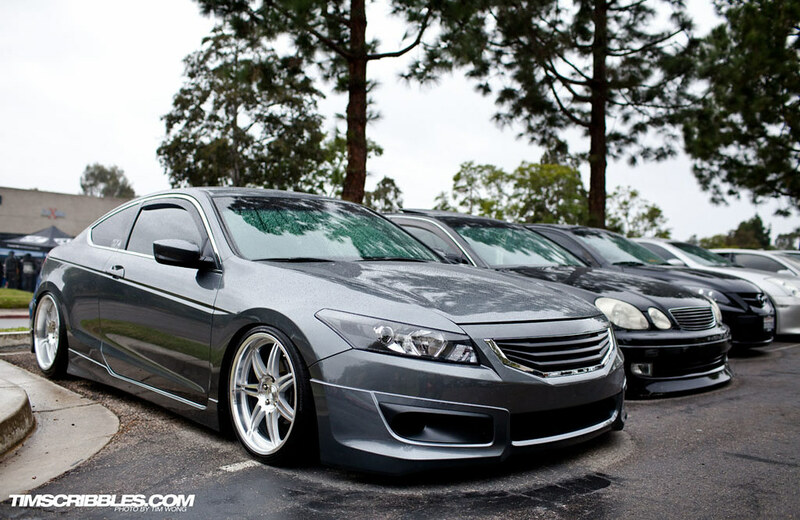 I’m surprised I don’t see more of these Accords being modified. From the handful I’ve seen, they end up look amazing. 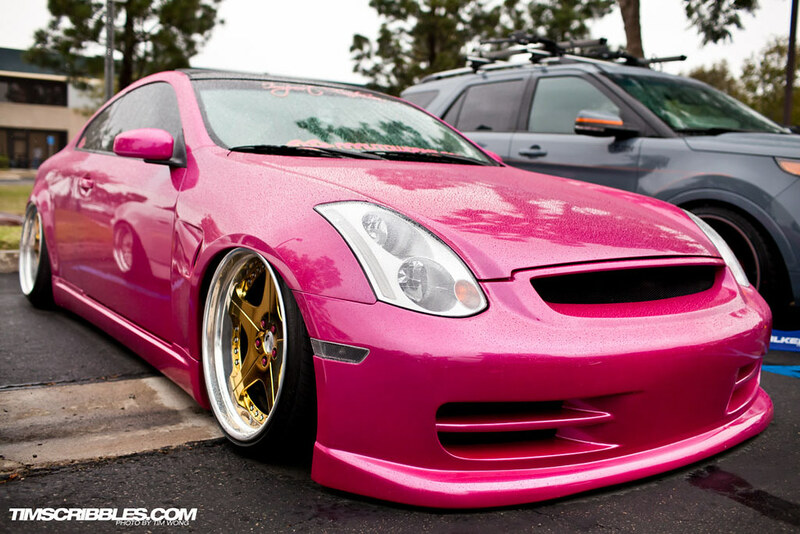 Digging the random pink caliper. 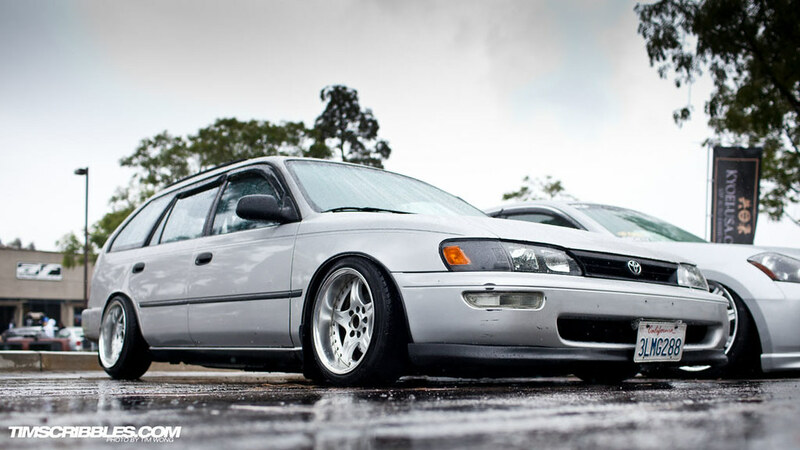 David has his Corolla Wagon rocking a set of Demon Cambers. Looks pretty good. 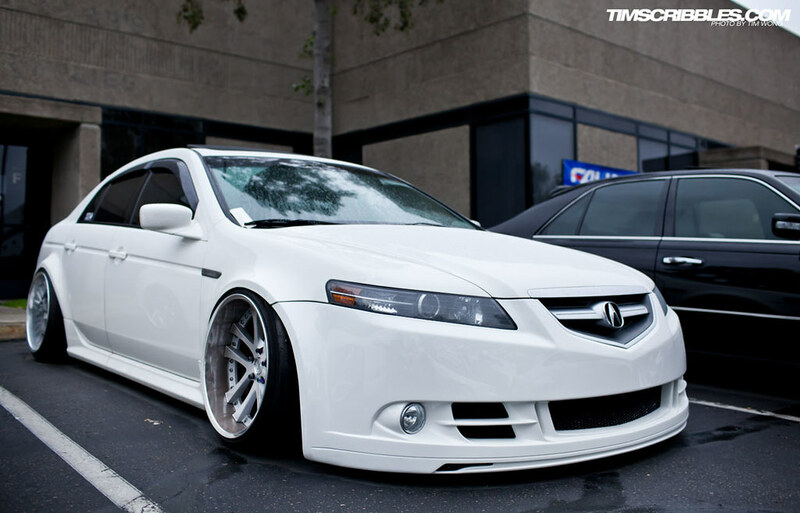 Another Acura TL I spotted later on. Loving that deep rich purple. The gold wheels just make it pop even more. 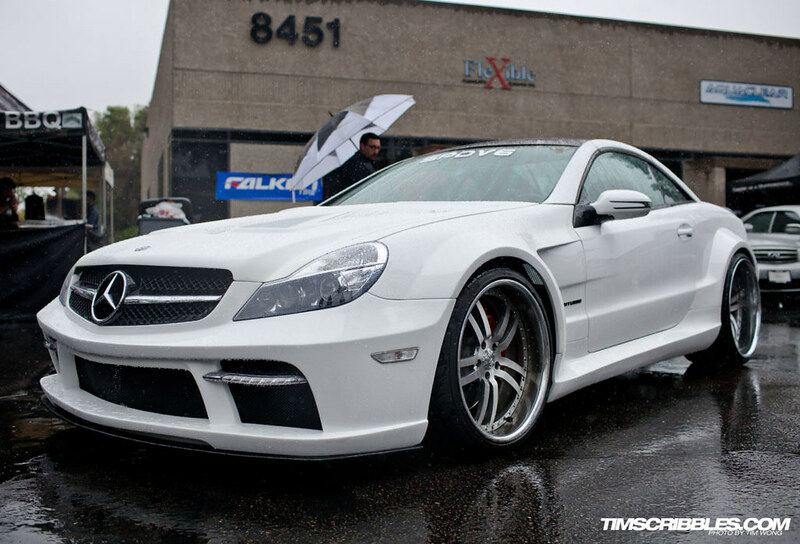 Not just a Mercedes SL65, but a Black Series. One of my favorite cars from Mercedes. V12 Biturbo. 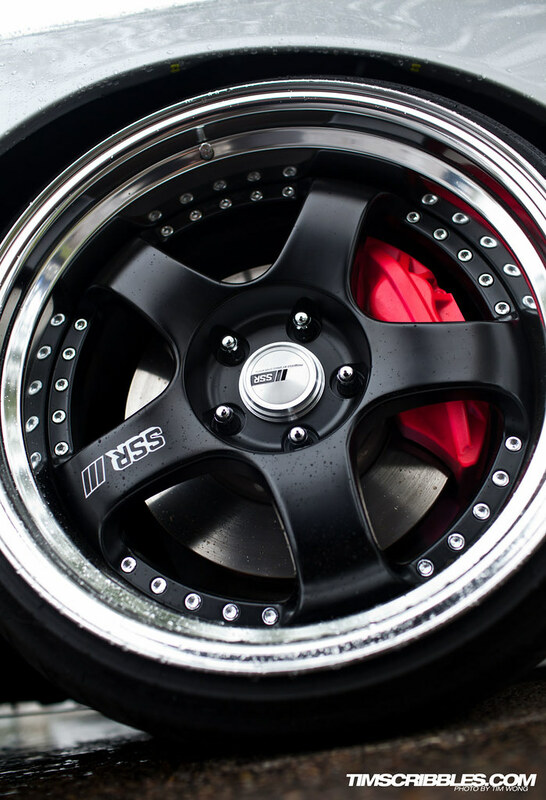 Those aggressively flared wheel arcs are just insane. The rain got pretty heavy by the time I finished walking through plus after a week from SEMA I was ready to called it a day. The event was great even though there was rain. By the time I rolled back up to LA, I heard the skies cleared up. Thanks for reading, but if you haven’t had enough, as usual there will be more on the Facebook fan page.